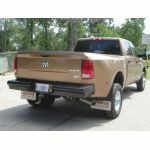 The Thunderstruck rear bumper comes in a black powder coat finish. It has a 1 year MFG warranty. It does come with install hardware. This bumper is made to order & is not in stock ready to ship. The build time is usually 3 weeks. 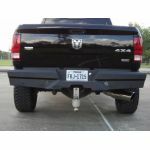 This bumper is built to work with the OE tow hitch. It will not work with an aftermarket hitch. 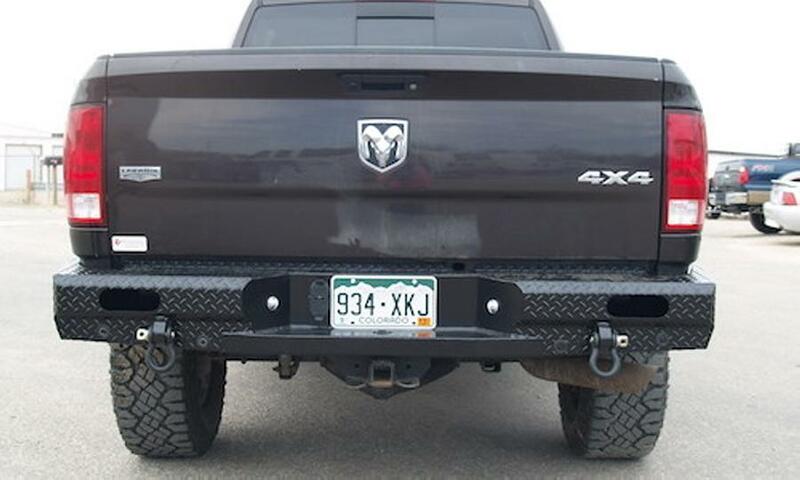 Bumper pictured has the following add-on options: Sensor holes, light holes, & clevis mounts.